February 2013 (with a third date added), have been cancelled. Nevertheless there might be a replacement date for Russian fans soon. 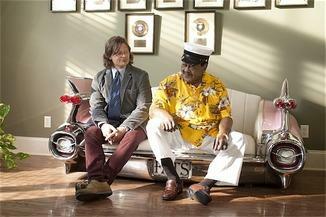 Chuck Berry's renewed collaboration with Patrick Rocher results in several European and South American shows for 2013. Buenos Aires (Argentina) and Santiago (Chile). A European Tour, scheduled for May 2013, is in its planning stages with dates to be expected to be announced soon. Irish singer Sinead O'Connor recently met Chuck Berry in St. Louis. Read about it here. "Blueberry Hill" and "Careless Love". radio spots for Radio Finland and will perform for his fans in Las Vegas on March 29th 2013.